Vacation Reboot Photo: Griswolds Return to Walley World! It's been 32 years since Clark Griswold (Chevy Chase) took his family on a cross country trek to visit the most popular theme park of the 80s, Walley World. And over the course of three more sequels, the clan never returned. Until today! A new photo has arrived from the Vacation remake, and the iconic tourist attraction has gotten a slight upgrade as Rusty takes his wife Debbie and their two sons through the golden archway to relive one of the best childhood memories for any kid who grew up in 1983. Yes, The next generation of Griswolds are at it again. New Line Cinema's Vacation stars Ed Helms (The Hangover films) and Christina Applegate (the Anchorman films) as Rusty and Debbie Griswold. The duo decides to take the family on the road for another ill-fated adventure. The film marks Jonathan Goldstein and John Francis Daley's directorial debut. Following in his father's footsteps and hoping for some much-needed family bonding, a grown-up Rusty Griswold surprises his wife, Debbie, and their two sons with a cross-country trip back to America's "favorite family fun park," Walley World. Along the way, they will reconnect with everyone's favorite bubbling grandfather Clark (Chevy Chase) and grandmother Ellen. And they will get into plenty of adventures as Rusty attempts to give his two sons the vacation he never had. 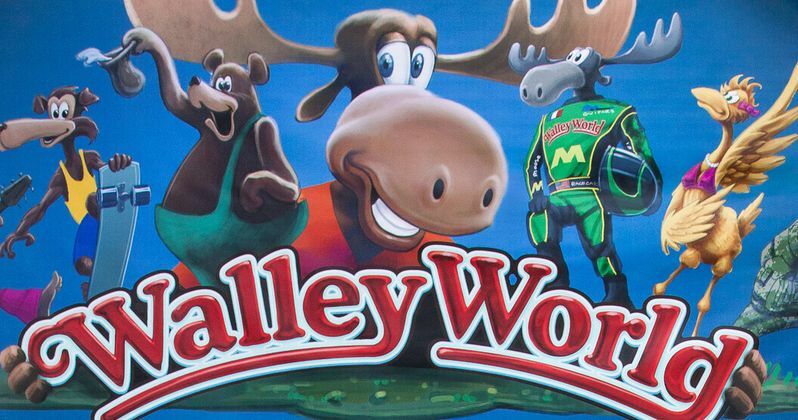 In theaters this summer, check out Walley World 2015!